If we want to build artificial systems that can mimic the brain in function and power we need to use hundreds of billions, perhaps even trillions of artificial synapses, many of which must be able to implement learning rules of varying degrees of complexity. Whilst currently available electronic components can certainly be pieced together to create such synapses, the required power and area efficiency benchmarks will be extremely difficult to meet -if even possible at all- without designing new and bespoke 'synapse components'. 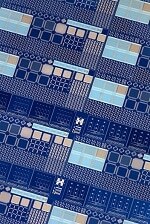 Memristors offer a possible route towards that end by supporting many fundamental features of learning synapses (memory storage, on-line learning, computationally powerful learning rule implementation, two-terminal structure) in extremely compact volumes and at exceptionally low energy costs. If artificial brains are ever going to become reality, therefore, memristive synapses have to succeed. This is extremely useful for enabling low-power embedded processors (needed for the Internet of Things) that can process in real-time big data without any prior knowledge of the data. The uptake of any new technology is typically hampered by the lack of practical demonstrators that showcase the technology’s benefits in practical applications. Our work establishes such a technological paradigm shift, proving that nanoscale memristors can indeed be used to formulate in-silico neural circuits for processing big-data in real-time; a key challenge of modern society. We have shown that such hardware platforms can independently adapt to its environment without any human intervention and are very resilient in processing even noisy data in real-time reliably. This new type of hardware could find a diverse range of applications in pervasive sensing technologies to fuel real-time monitoring in harsh or inaccessible environments; a highly desirable capability for enabling the Internet of Things vision.